1. Touch on Menu from the Home screen, to get started. 2. Touch to select Settings next. 5. Touch Link Dropbox account to proceed. 8. Touch Allow. Doing so will let the service access your phone. Account name - This option will let you view your account details and remove the Dropbox account from the phone. Storage usage - This option will let you view the storage being used and the total available storage left on the device. Videos - This option will display videos from Dropbox in the Gallery and Video Player. Similar to Pictures, this option is also enabled by default and will sync only when connected to a wireless network. Documents - This option will display compatible documents for Dropbox in this directory: My Files->All Files->DocumentSync. This option is enabled by default and will sync only when connect to a Wi-Fi. 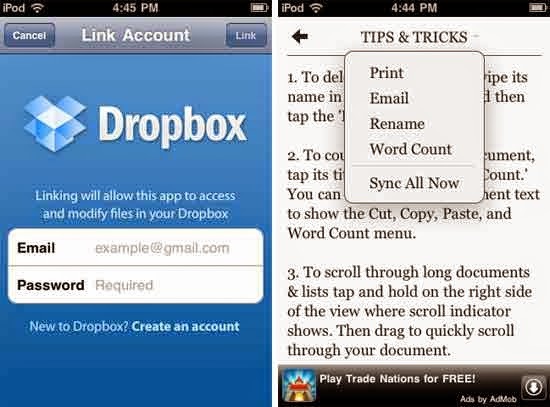 Now you've already learned how to link a Dropbox account with your device. And just in case you also need further assistance in removing an existing account from Dropbox, here's a quick guide to remove a Dropbox account on your device. How to remove a Dropbox Account on the Galaxy S5? 1. Touch on Menu from the Home screen. 4. Select Cloud to get to the Cloud menu and configure settings. 5. Touch your email address/account name under Content sync (with Dropbox). 6. Touch to select your email address/account name that is listed under Accounts to proceed. 7. Touch Remove account to remove selected email address or account name. 8. Confirm account removal by touching on Remove account again. Doing so will finally delete the selected account from the Accounts list and then should no longer be available for use.